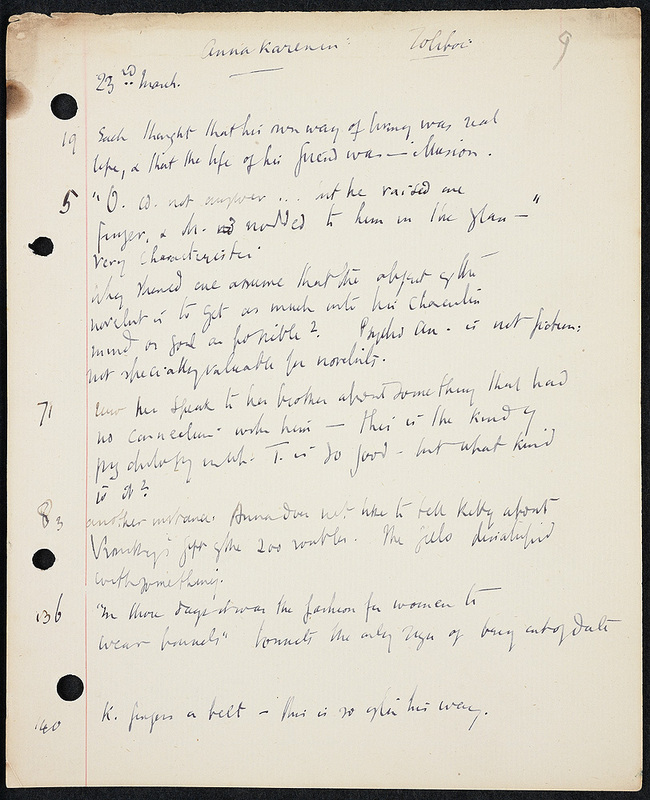 Virginia Woolf often distilled her reading notes into essays. 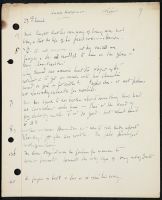 In “How Should One Read a Book?” the shape of Anna Karenina is contrasted to the shape of Clarissa, like the angle of a house “cut out against the fullness of the harvest moon.” In the essay Woolf also compares Richardson’s verbosity and obliqueness to Tolstoy’s brevity and directness. 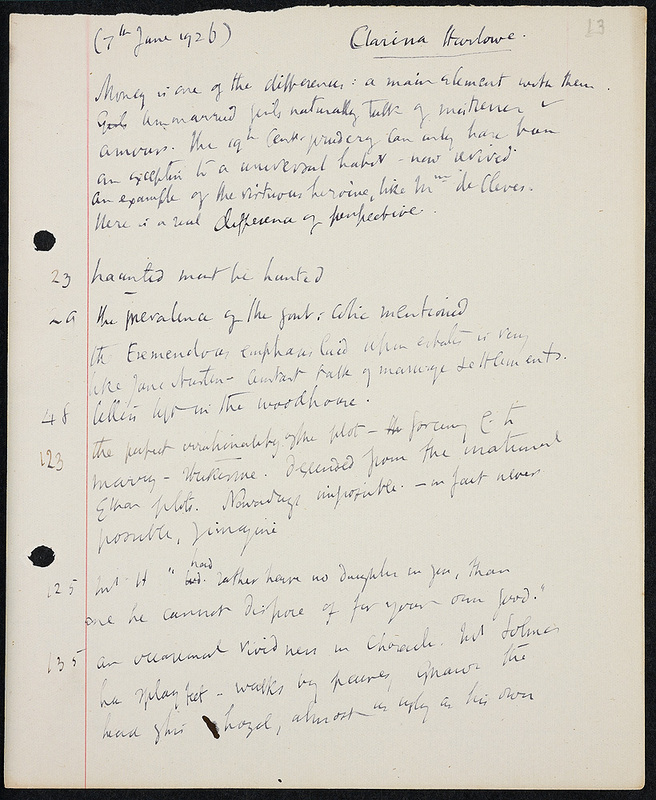 Woolf was writing this essay at the same time as she composed her first draft of To the Lighthouse. Anna Karenina is mentioned in the novel as well. Virginia Woolf. Reading notes on Anna Karenina by Leo Tolstoy: holograph, 23 March . Virginia Woolf. 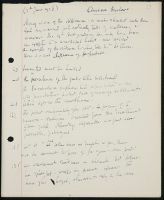 Reading notes on Clarissa Harlowe by Samuel Richardson: holograph, 7 June 1926.